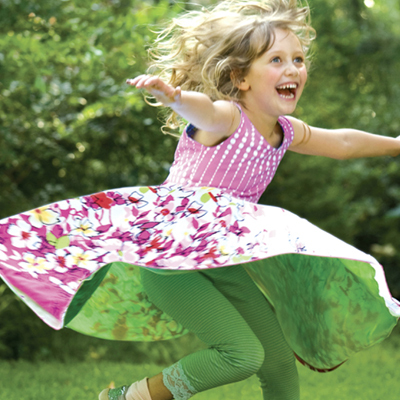 Twirly Dresses® - The ones we made famous! What’s the first thing a girl does when she puts on a pretty dress? She twirls! That’s why we created the Original Reversible Twirly Dresses®. We’ve since added more reversible twirly designs. Full circle skirts in soft, flowy, exuberant fabrics make our twirly designs unique and timeless. Because they are easy to care for, they can be worn every day -- not just on special occasions. No need to worry about these dresses sitting in the back of the closet. They’re going to be worn every day! And make sure she is covered with our UnderTwirl™ Shorts or Love Em Capri Leggings to wear under the dresses for those high flyin' twirls.